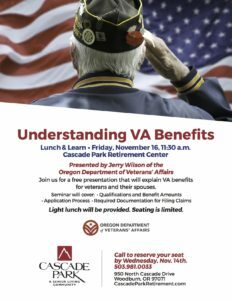 Lunch & Learn on Friday, November 16, 11:30 a.m. at Cascade Park Retirement Center! 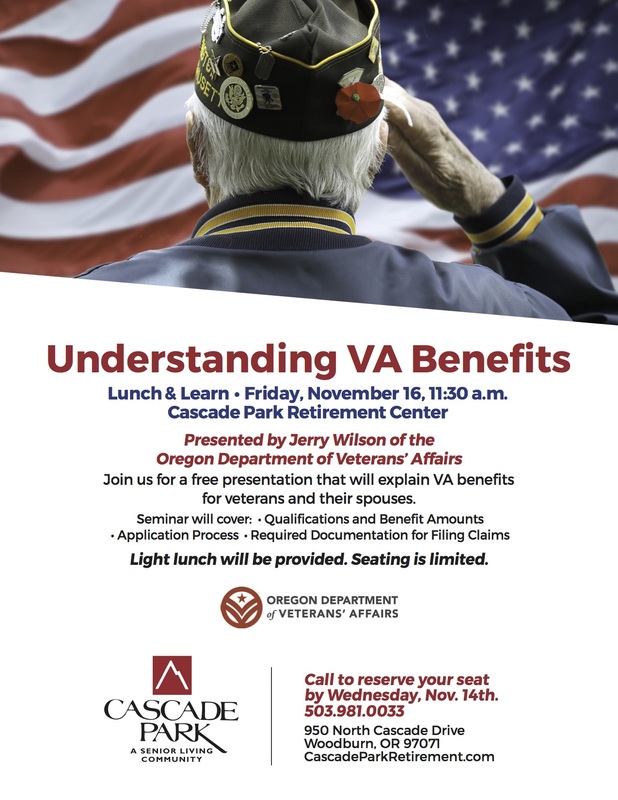 Presented by Jerry Wilson of the Oregon Department of Veterans’ Affairs. Join us for a free presentation that will explain VA benefits for veterans and their spouses. Light lunch will be provided. Seating is limited.